Once the show finally started, the fireworks rose above the saddle in Exploration Place across the river as expected. I can’t post any of those until after the contest concludes. 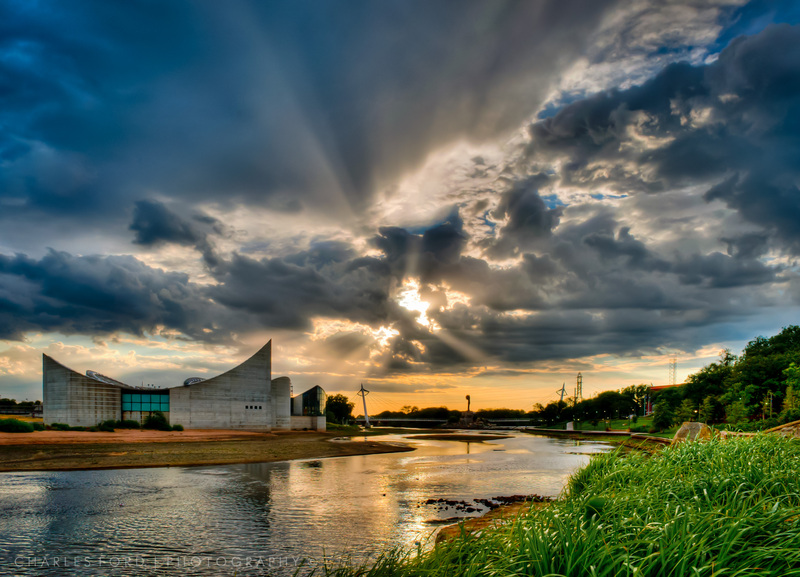 Nothing says Wichita like Exploration Place and the Arkansas River. A brief and welcome rain shower had just passed, and the clouds were breaking up as sunset approached. The part of the puzzle usually missing, which is me actually being there with camera and tripod ready, was miraculously present on this occasion and much feverish HDR bracketing mayhem ensued. The river is extremely low at the moment, so sandbars normally under water are now visible. I’m not sure if a full river would have improved this image or not. By the way, would it be a mistake to admit that Clearing Storm #1 through #51 do not actually exist? 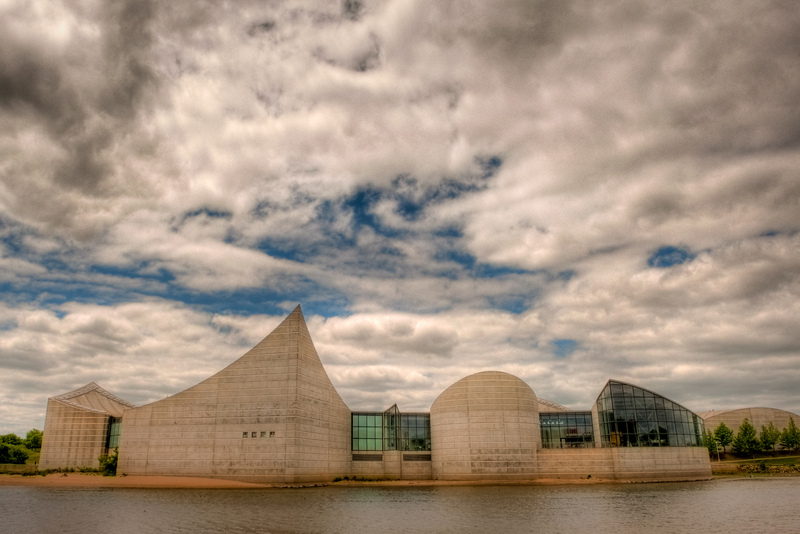 Exploration Place is a science museum along the Arkansas river in Wichita. Designed by international architect Moshe Safdie, it is one of Wichita’s downtown landmarks. I’ve shot it at night, at night with fireworks bursting behind it, and in the daytime, but this is my first HDR attempt.